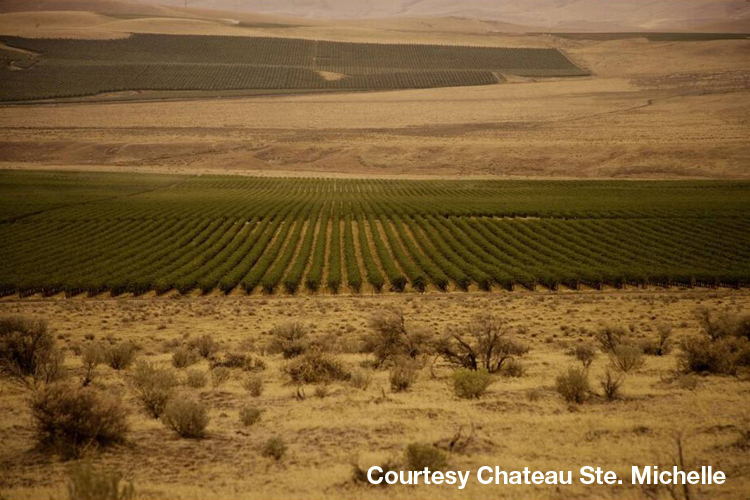 When most folks hear "Riesling" and "Washington" in the same sentence, they might automatically insert "Chateau Ste. Michelle." And there would be nothing wrong with that, seeing that Washington's oldest and largest winery makes more Riesling than any winery on the planet. Since introducing the 1999 inaugural vintage of Eroica, Ste. Michelle Wine Estates has become the standard bearer for the American Riesling revolution. The Woodinville giant helped put Washington on the national wine stage when its 1972 Riesling was ranked No. 1 in a blind tasting conducted by the Los Angeles Times in 1974. The fact is that most of the Riesling in Washington was planted to supply Ste. Michelle's 1 million-plus cases of annual Riesling production and, thanks to Ste. Michelle, we know that cooler areas of the Columbia Valley - particularly the Yakima Valley and the Ancient Lakes of Columbia Valley - are superb for growing great Riesling. Ste. Michelle also should be considered responsible for setting the quality bar on Riesling and we believe that has encouraged other Washington producers to make not-so-insignificant amounts of Riesling. More than 75 Washington wineries produce Riesling, often in artisan-level amounts, so winemakers still view Riesling as a hip grape to work with. Follow the link for several styles of Washington Riesling we've tasted recently.